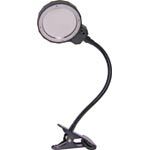 Inspect-A-Gadget LED illuminated magnifier desk lamps allow you to identify those impossible to read micro miniature components. 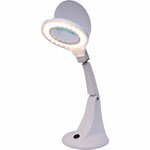 These magnificent LED lamp magnifiers help reduce eye strain when working on complex PCBs etc. One of the most useful workshop accessories you could possibly own. 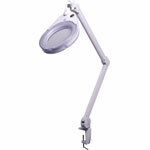 Uses are not only limited to electronics, of course. 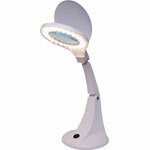 Its ideally suited to stamp and coin collectors, model makers, embroiderers, jewellers and the like.